Meet our Shear Magic Family! 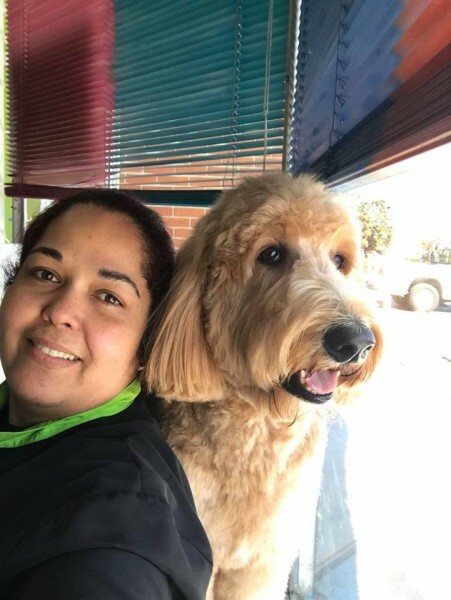 Meet our Exceptionally talented Canine Stylists and the rest of our fabulous Shear Magic Family that make Shear Magic PET GROOMING the go to place for all your pets grooming, hygiene and nutritional needs. 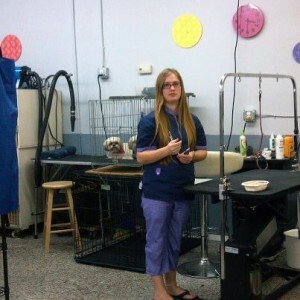 Working hard as we lovingly care for your pets. 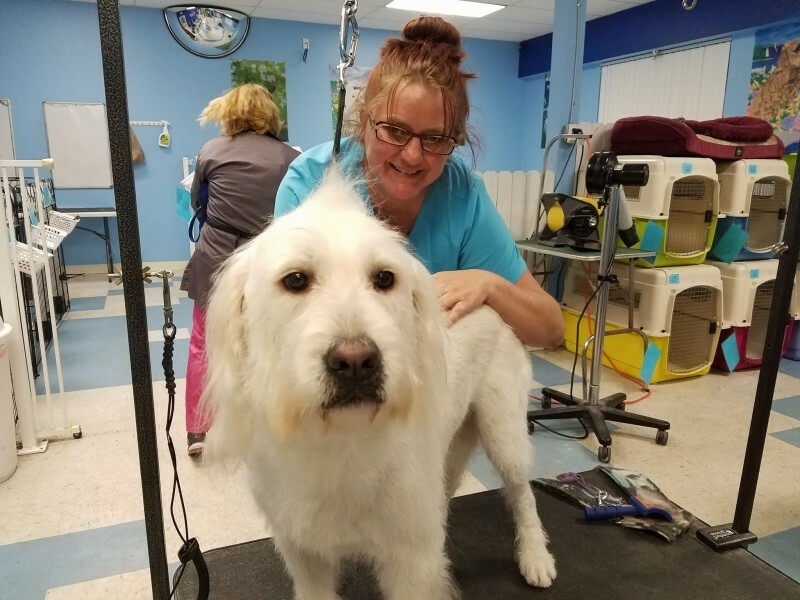 President of Shear Magic PET GROOMING Inc. NCMG Dorian , I’m blessed to do the work that brings joy to my life… It still makes me giggle when a dog prances around as if to say “I’m so pretty, oh so pretty” or “I FEEL GOOD” that makes my day. I know then we did something good.. A graduate of Florida Institute of Animal Arts. While attending school I worked for a grooming salon under the guidance of an N.C.M.G. 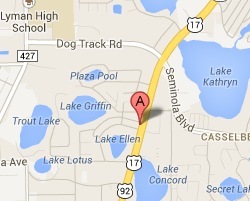 (National Certified Master Groomer) with years of experience, vast knowledge, and talent. 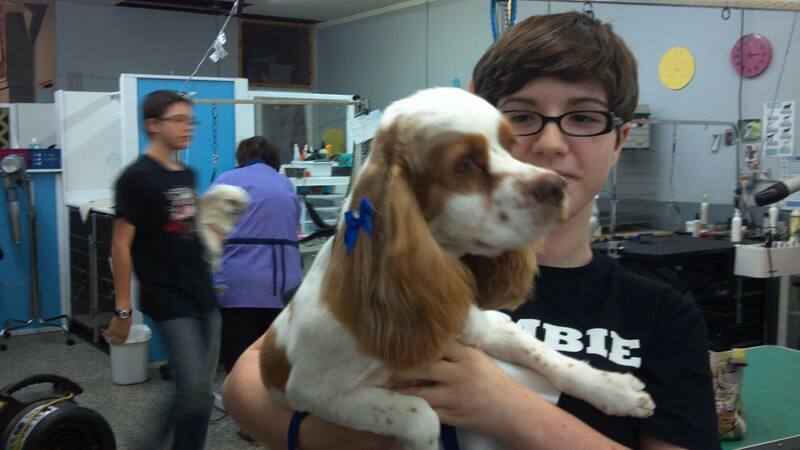 It was a valued educational experience and I received a first place award in a grooming competition (yay!). Pet Grooming competitions are time consuming; I learned quickly I’d rather spend my time in the shop with my little friends. 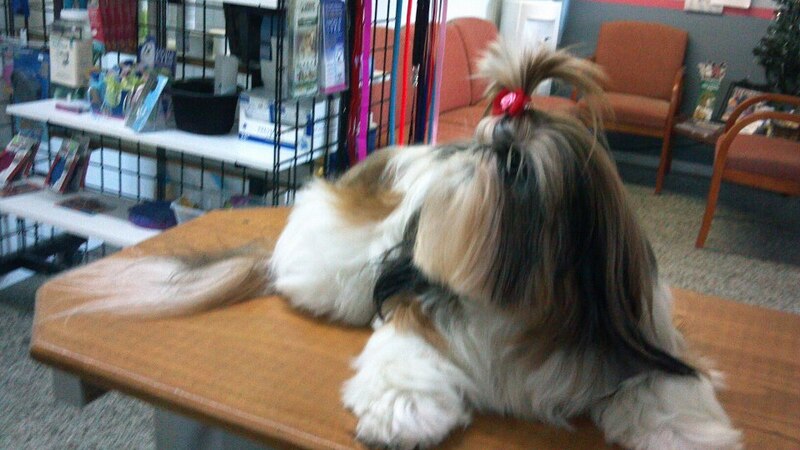 I then pursued and achieved the title of National Certified Master Groomer (N.C.M.G). certified by the National Dog Groomers Association of America (NDGAA). This was a great honor as only 4 percent of all groomers nationwide have achieved this degree. Now it was time to spread those wings again and go out on my own. So here I am. It’s an honor and privilege to share in the love and care of your pet. My Team and I look forward to seeing you all at Shear Magic PET GROOMING Inc.
Grooming Supervisor NCMG Kerrie is an Award winning competition groomer and an NDGAA National Certified Master Groomer. 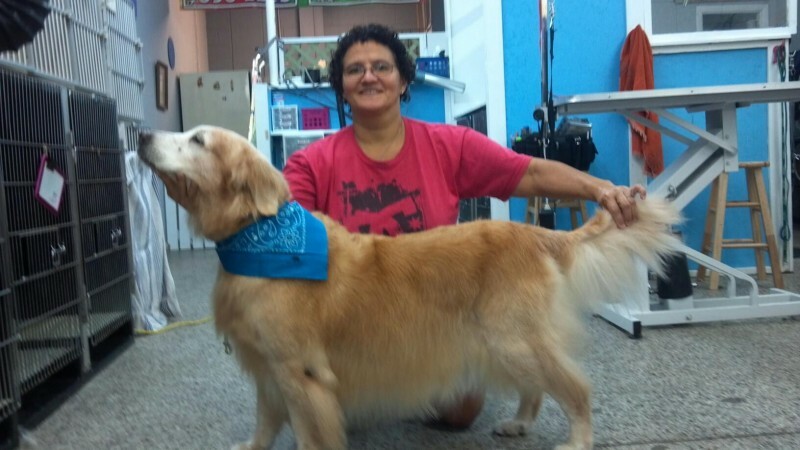 Kerrie is an accomplished and talented groomer who came to Shear Magic from Feelin’ Groomy. She brings to the table a kind and gentle spirit and lots of laughter, she always brightens our day. Our Canine friends are always happy to see her, I think she makes them laugh too. Kerrie is a local gal, She graduated from Florida Institute of Animal Arts. She mentored with the best of the best and has continued to grow as a person and a grooming stylist, taking every opportunity to learn. Kerrie is a proud canine parent of rescues and show dogs, her canine family (pictured) are Tazor, a Champion Bichon, Zoomie, a Powder Puff Chinese Crested , Foxy(RIP), a rescue poodle/crested mix and Champion Bandsmans Dancing Bear a Mini Schnauzer. We can now add Bowie to the mix. He is Soft Coated Wheaten Terrier (not pictured). 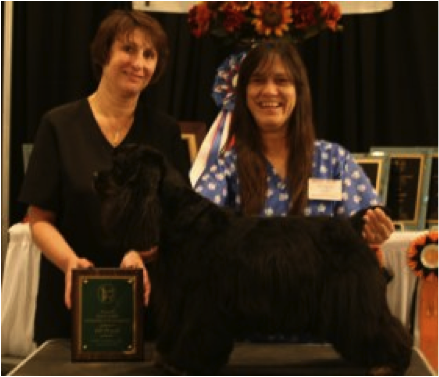 Kerrie has earned numorous awards for Compititon Grooming and AKC Comformation showing soft Coated Wheaten Terriers and Mini Schnauzers. She arrives daily with all her Canine family in tow. We watch in awe as Kerrie brings the same love and compassion to our clients furry family members every day. She’s a true gem. 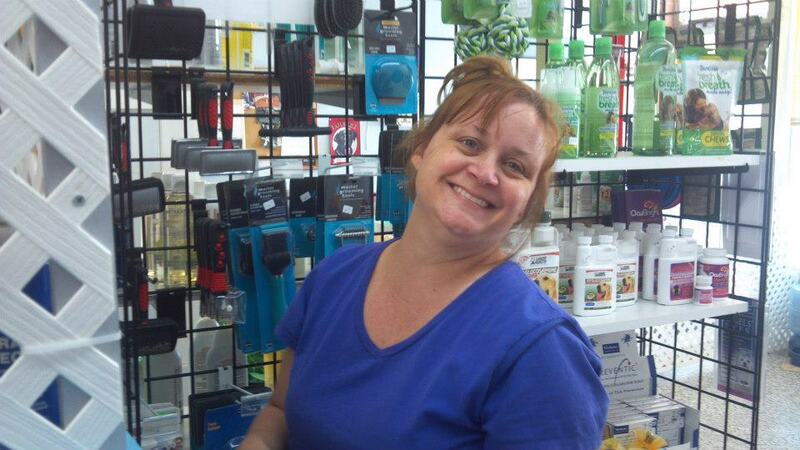 Welcome to Shear Magic, Kerrie! You make our k-9 kids FEEL GROOMY. Shelbi has taken leave to persue other goals. But is Still very much a part of the Shear Magic family. 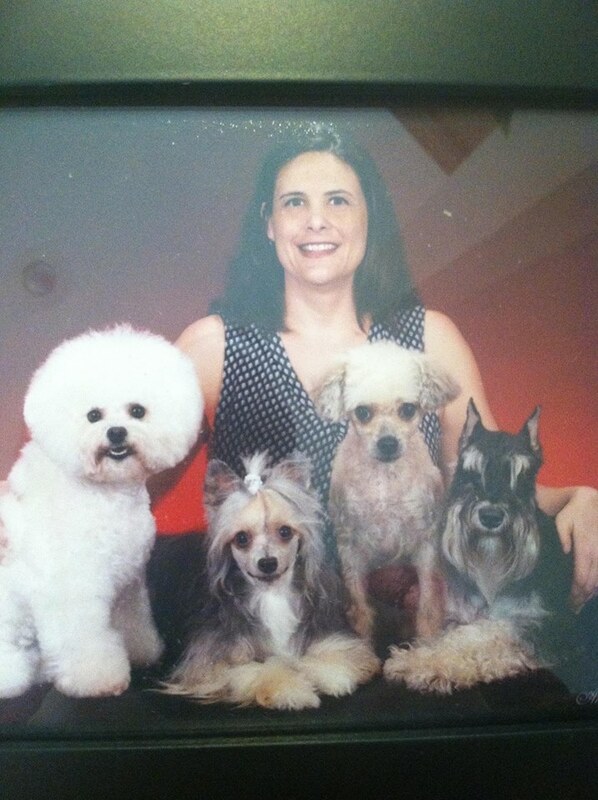 Shannon Customer service , Dog Lover and the first face most see at our Casselberry Salon. It’s not uncommon to find her at the desk with all kinds of four legged help about… If not in her lap… It’s so much fun to see how excited some of our guests are to see Shannon – Humans and Canines , Evey Salon should have a Shannon Arleen: Arleen bring her Talent for grooming and love for our guest to both of our Shear Magic locations. Gail: Meet Gail soft spoken and kind . 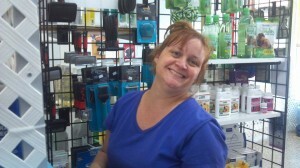 Gail has many years experience and skill to the grooming table, alway there with a helping hand . We are so happy she is a part of our team . SETH: Our weekend helper, and hard worker. 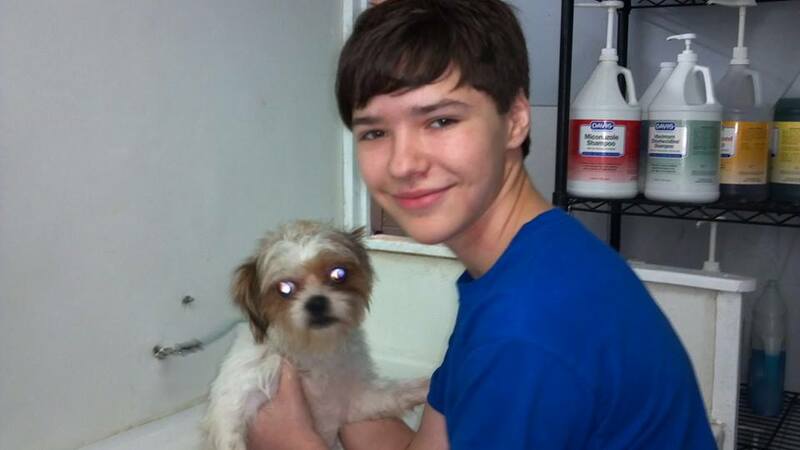 Who loves and cares for our guests with baths, water, walks , play time and clean up… We love you, Seth! 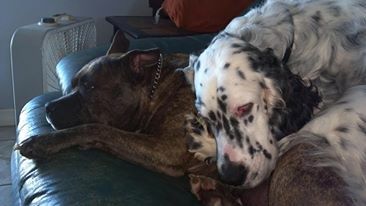 Last but not least our boys Buddy and Harold. Lynda, our Friend, always volunteering with a helping hand. Called this company there have 3 or 4 different lines to trick people coming in to there business. Bad customer sevice will make sure to let all friends anyone with a dog not to use this place.I bet they won\'t put this in there review.